I start digging through the bucket before taking the polishes to their future resting spots. I pulled out this duo sets that I had bought on clearance at Walgreen’s. 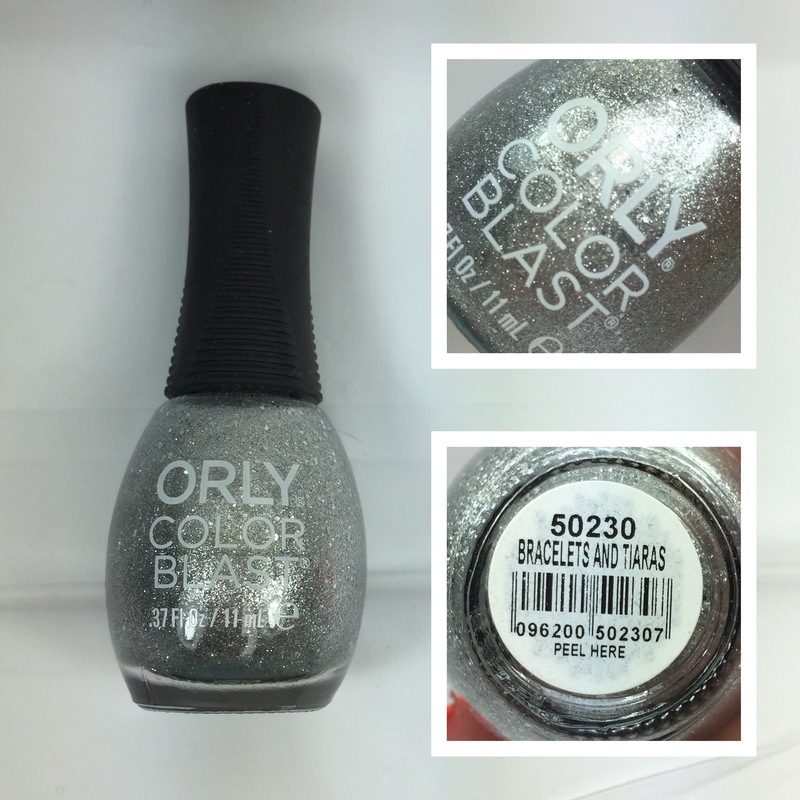 Its funny how I can recall where I bought a polish once I see it but I have a hard time recalling if I have a certain polish in my collection. 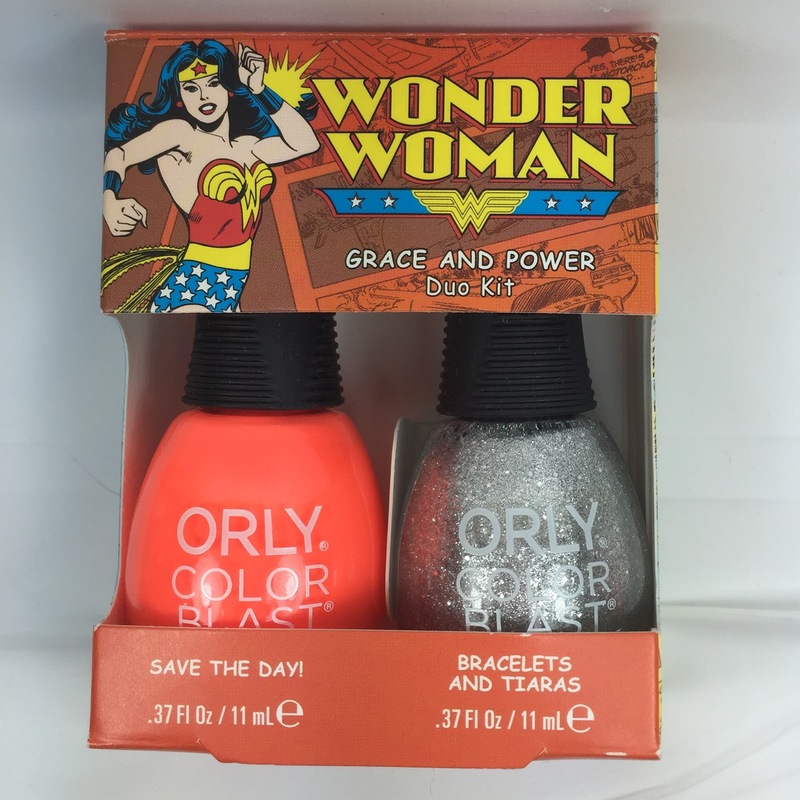 Question…What do neon orange and silver have to do with Wonder Woman in the comics? When I see her I think of red, blue, gold and even white. Never do I picture neon orange and silver. What am I missing? Whatev, moving on. Save the Day! is your typical orange neon that dries with a matte finish. Two coats and it was completely opaque. 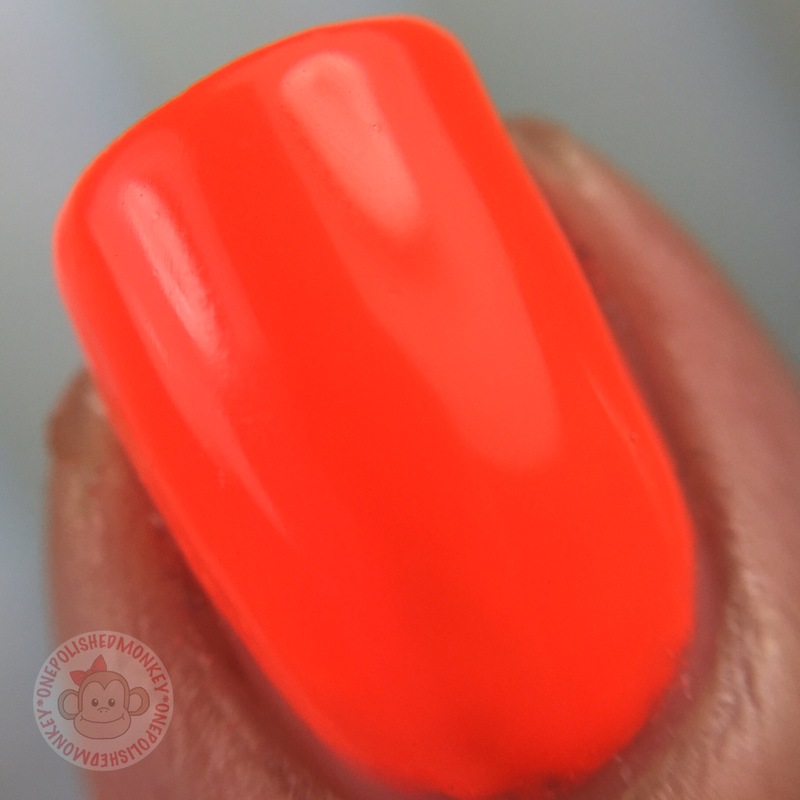 I didn’t have any issues with pulling or bald spots with this polish like I have with other neon polishes. Diamonds and Tiaras is a fantastic silver micro glitter polish. I experimented on both hands to see if its opaque without an undie. And I’m happy to report that it is! Just two coats and it covers the neon orange without any visible orange. Nice! This tempts me to add another Diamonds and Tiaras to my collection if I come across another duo at a good price.